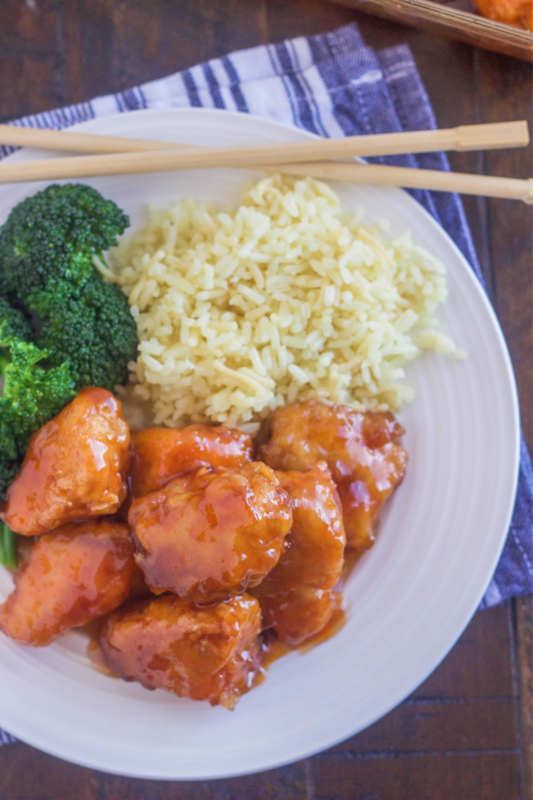 This baked Sweet and Sour Chicken is truly amazing! It’s been a family favorite for years and is better than any takeout. It’s so simple to make! 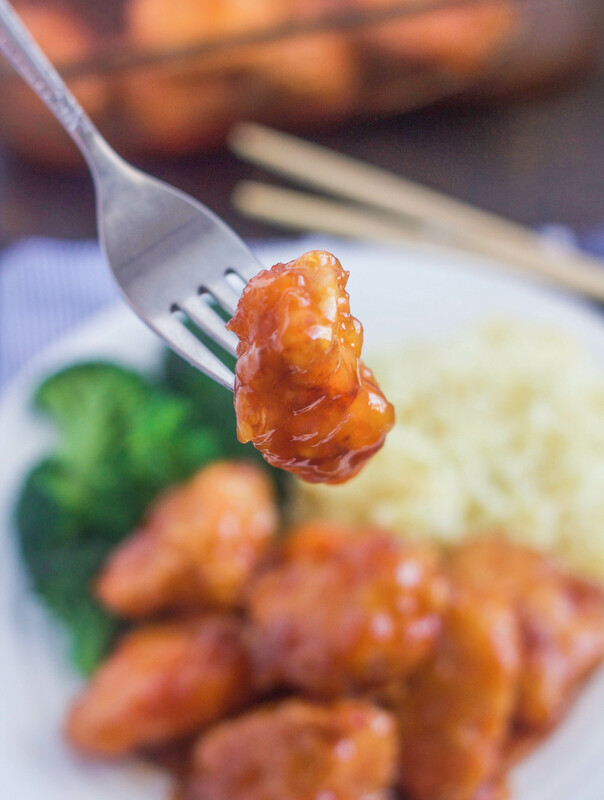 This baked Sweet and Sour Chicken is hands down the best sweet and sour chicken I’ve ever had. I can honestly say it’s better than takeout. I posted this recipe almost seven years ago and decided it definitely needed to be shared again with new pictures and updated instructions. Every time I make this, my boys literally get giddy. It’s so, so good. Chicken pieces are dipped in beaten eggs, then in cornstarch and then cooked in a little hot oil to brown. Then you bake them in the most delicious sweet and sour sauce. You can serve this with white rice, but I highly suggest our favorite yellow rice. It goes so perfectly with this chicken and is so good with some of the sweet and sour sauce drizzled over it. 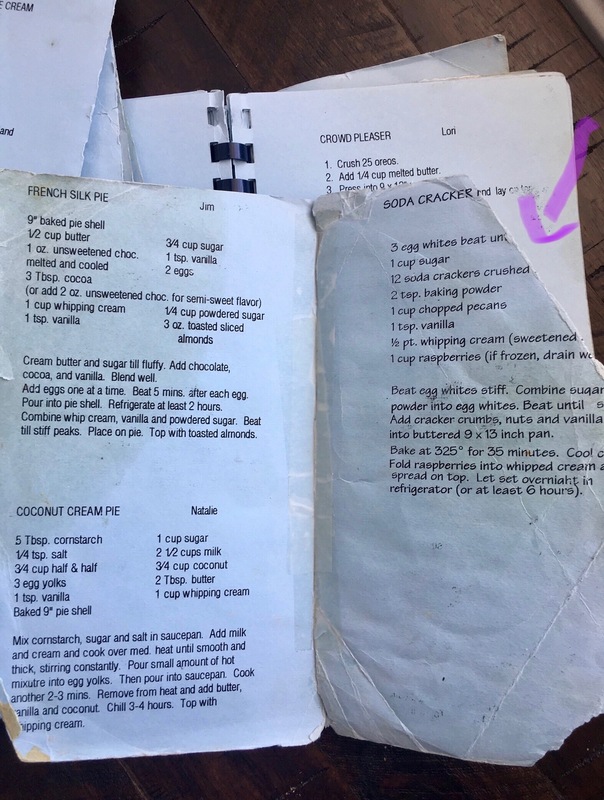 I got this recipe probably over 20 years ago from my grandma. It’s been a family favorite for years and is in our family cookbook that my Aunt Debbie complied years ago. I think my aunt is actually the one who gave the recipe to my grandma, so she should get credit for it :). Our family cookbook is one of my favorite cookbooks ever. 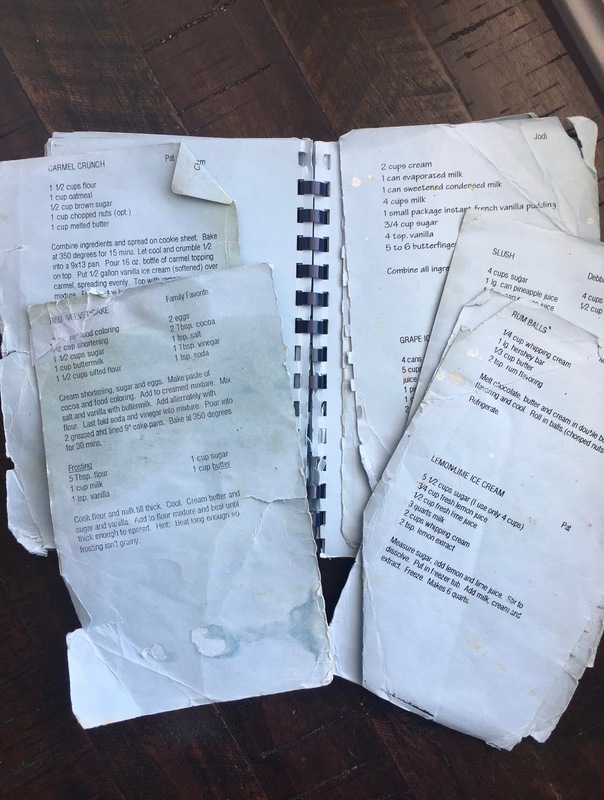 It has all of our favorite family favorites recipes that hold so many memories for all of us. My copy is in shambles — pages have fallen out, the cover is torn off, there is food spilled on the pages, pages are torn and some pages are hanging on by a thread. It’s been well used and is priceless to me. Check out these two pages, they’re taped and one corner is completely gone. This is just a few of the pages that have fallen out. Some of the instructions are very vague and some recipes don’t even have the titles on them, but we know what they are. Like I said, it’s priceless. Put beaten egg into a pie plate or shallow dish. Pour cornstarch into another pie plate or shallow dish. Dip each piece of chicken into beaten egg and then into the cornstarch, covering entire piece of chicken. Pour enough oil to cover the bottom of a large skillet. Heat the oil over medium heat until very hot. Place the coated chicken pieces into the hot oil, in a single layer. Cook for 20-30 seconds, on each side until the crust is barely golden (the chicken will not be cooked all the way through). Place the chicken pieces in a single layer in a 9X13-inch baking dish. Repeat with the remaining chicken pieces. In small saucepan mix all the sauce ingredients. Stir and heat through until sugar is dissolved. Pour over browned chicken. Bake at 325 degrees for 60 minutes, turning chicken pieces once during the baking time. I usually one and a half the sauce recipe because we like lots of sauce. We love to drizzle it over our family favorite rice that I make every time I serve this chicken. I pour all of it over the chicken and then we just scoop it out of the pan. You could also pour most the sauce over the chicken and save a little and then use that for drizzling. 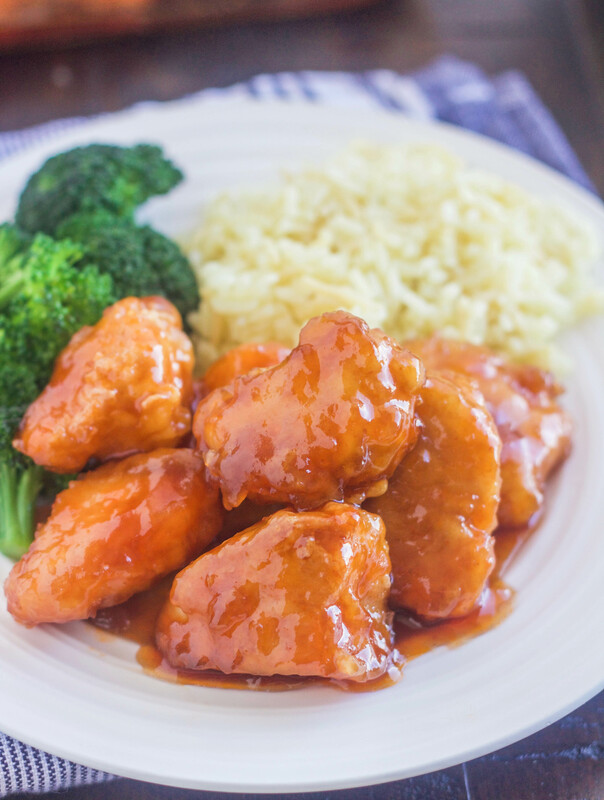 This is truly one of the best sweet and sour chicken recipes I have ever had! There is never any left overs when I make it….no matter how much of it I make! Thanks for your nice comment and I’m so glad you liked it. It’s one of our favorites. I’m glad you were introduced to my blog, it’s still a work in progress but it’s coming. Thanks again. By far the family favorite, I’ve made it twice, the 2nd time I doubled everything so we could have plenty of left overs. Your the “bomb” at the Bagley House. Thanks Corrie! 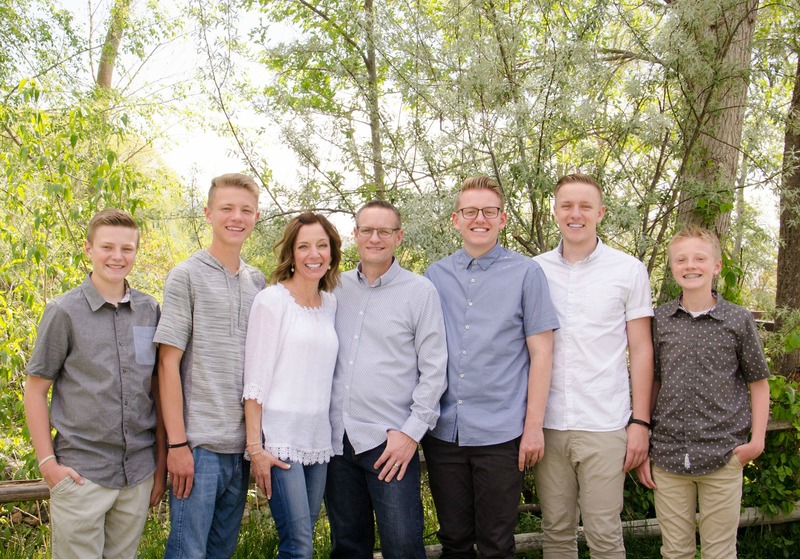 What an honor to be the “bomb” at the Bagley house! I made this for my family last night. We loved it! Yummy!! Thanks Jody! So glad you liked it, it’s one of our very favorites! Let me know what else you try. This is probably a crazy question but you said that you make the yellow rice with it, so I was wondering how you go about doing that since the rice is at 350 and the chicken bakes at 325? Do you cook one first and then the other? I am just curious because they both look delicious. Thanks! Hi Erika! I will either cook the rice with the chicken and cook it for 45 minutes instead of the 30 since it’s baking at a lower temperature, or because I have double ovens, I will cook the rice in my second oven. Let me know if you give these a try. Honestly, it’s one of our favorite meals ever! Thanks for getting back with me, and yes, I will let you know.